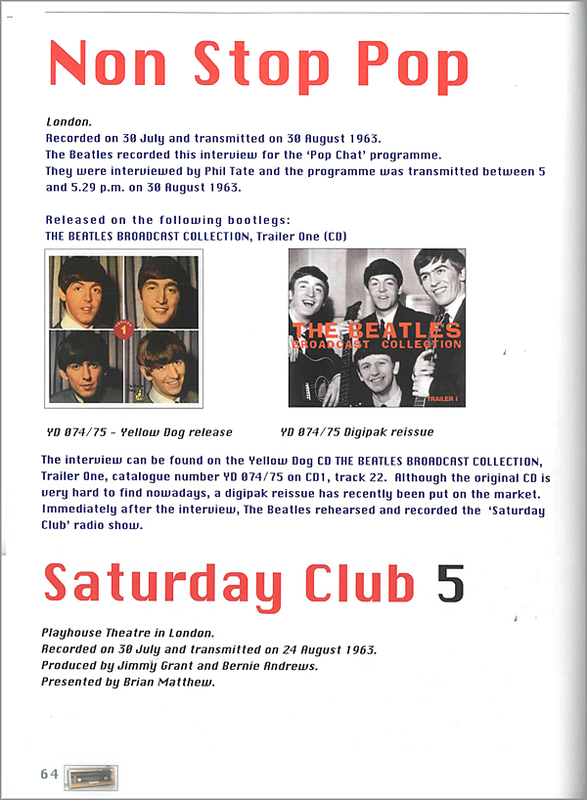 For the past three years or more, fans have been listening to the Beatles' BBC shows through releases from the Yellow Dog, Secret Trax, Pyramid, Great Dane, Masterfraction, Transcription Records and Silent Sea labels before Purple Chick did an upgrade of the complete BBC sessions (10CDs) in 2004. 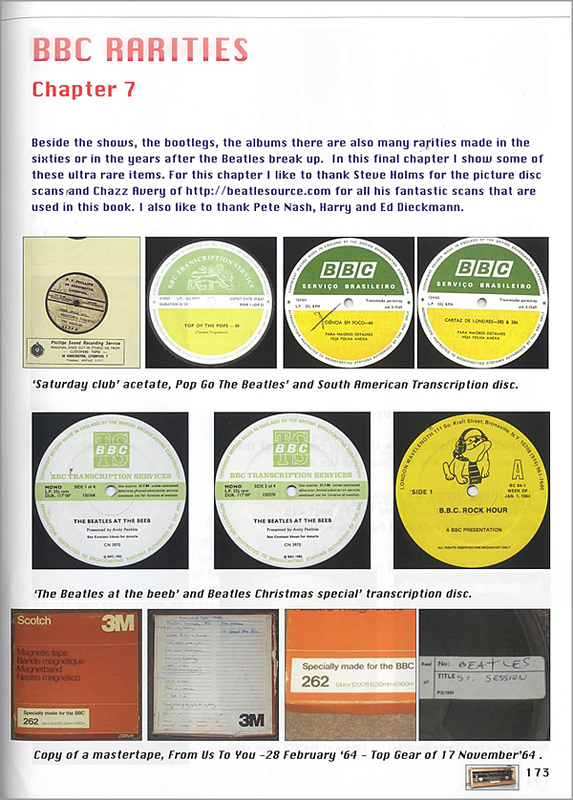 Once again, fans can now re-live those heady BBC days when they go through Dutch archivist Azing Moltmaker's comprehensive show-by-show guidebook, The Beatles At The BBC. Stephen Tan reviews. 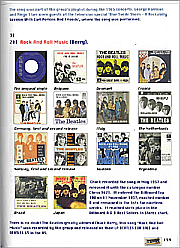 Between March 8, 1962 and June 7, 1965, The Beatles appeared on 52 radio shows and recorded 276 tracks, of which at the time of the writing of the book, only 243 have been released officially or on bootleg. 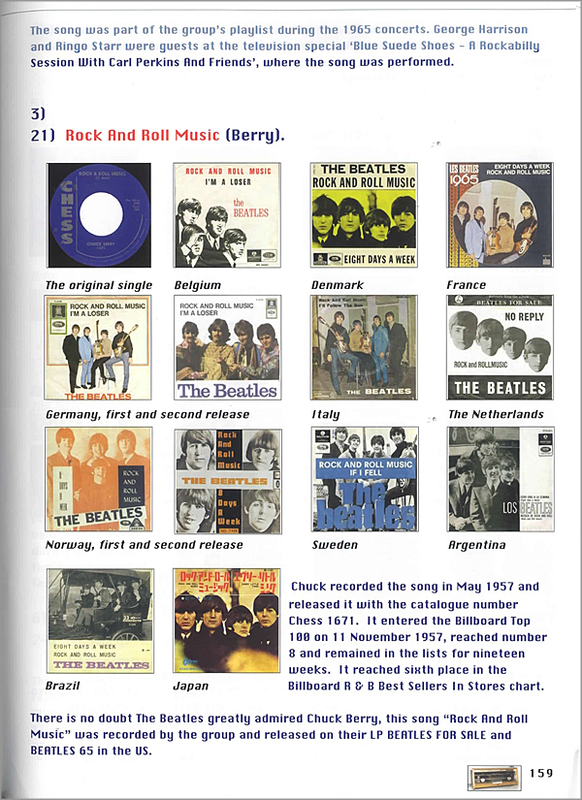 Dutch Beatles archivist Azing Moltmaker has taken the trouble not only to compile the list of songs The Beatles played, he also indicated the releases (official and bootlegs) where the tracks can be found. 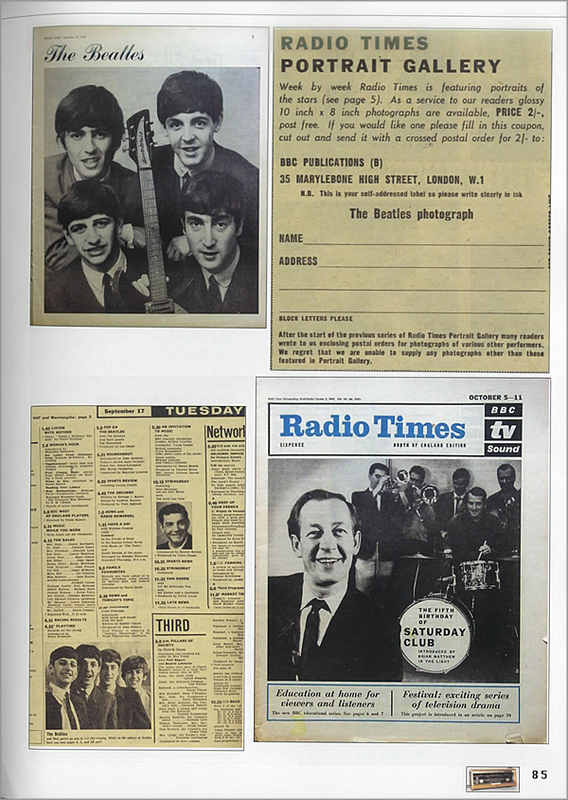 In addition, he provides facsimiles of documents and press clippings of The Beatles in connection with the BBC. And a must for such books, it comes very well illustrated with album covers. 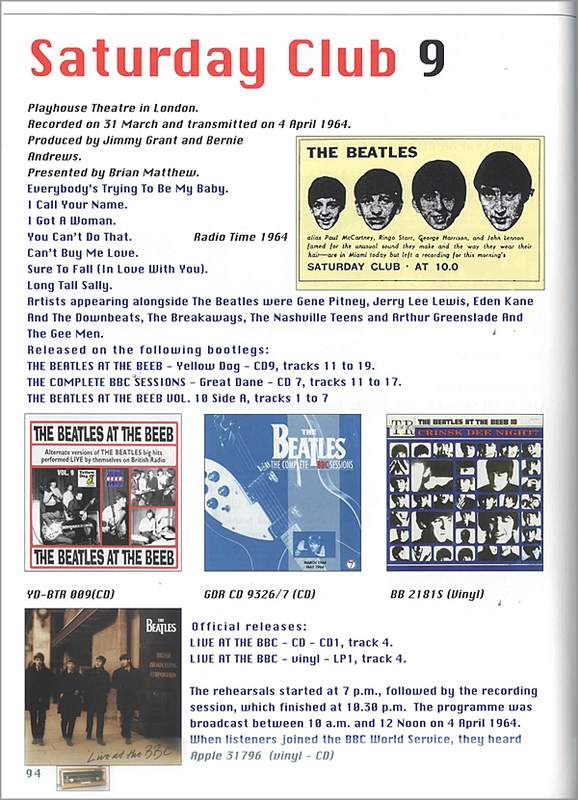 Moltmaker, who has written more than 30 books on the Beatles (this being his 33th), notes that it was Brian Epstein who realised, in the early '60s, the importance of The Beatles appearing on the BBC. "Television then was not as commercialised whereby the radio was the main media focus. The BBC had virtual monopoly at the time." This is the entry for February 12, 1962 (Broadcasting House, Piccadilly, Manchester): "After Brian had completed the 3-page 'Application For An Audition By Variety Department' and returned it to the BBC, the group were alled up for an audition. The application form was filed as number 1299. Brian offered a choice of 5 songs: Till There Was You, Like Dreamers Do, Take Good Care Of My Baby, Memphis Tennessee and Hello Little Girl. 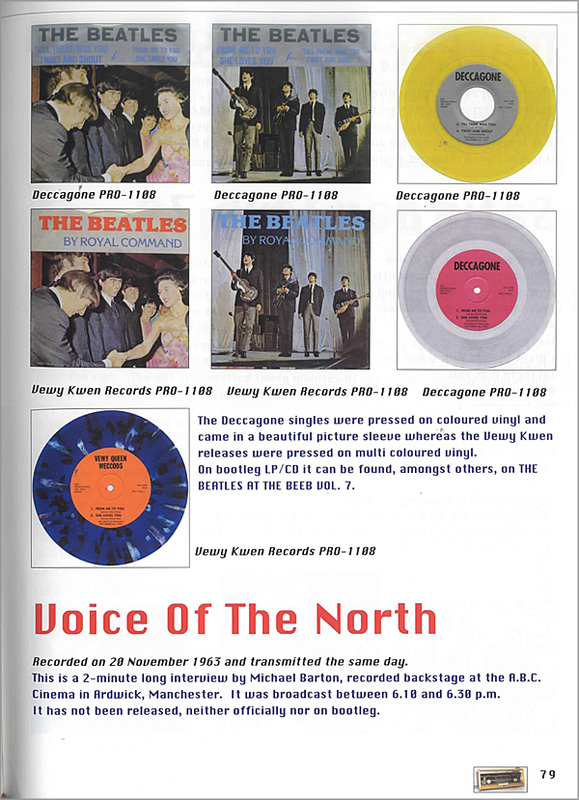 The Beatles had performed these songs for the Decca audition of 1 January 1962. "When Brian sent the application, he was not The Beatles manager yet, quite an ambitious start for the Liverpool record dealer. The honour of doing the audition fell to producer Peter Pilbeam of the North West programme Teen. "The Beatles played all songs except Take Good Care Of My Baby. Following the audition, Peter wrote on his report 'Yes' for John's vocals and 'No' for Paul, who probably was troubled by nerves and the occasion must have got the better of him. As general remarks Peter noted: 'unusual group, not as 'Rocky' as most, more C&W with a tendency to play music.' For the group these remarks must have made the difference. 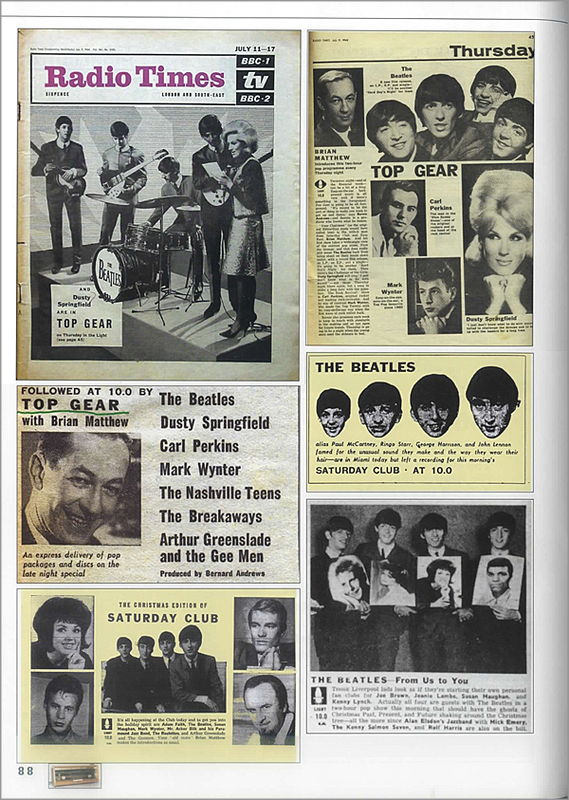 On 20 February 1962, The Beatles signed a contract with the BBC to appear in their programme, Teenagers Turn. It is unknown whether these 4 [audition] songs were recorded by the BBC and if so, if they were saved." Needless to say, it is the bootlegs that get a good share of the spotlight in the book. Moltmaker notes: "During the seventies bootlegs with titles such as AS Sweet As You Are, Yellow Matter Custard, Outtakes 1 and 2 were released. It was only the beginning and the sound quality was terrible. 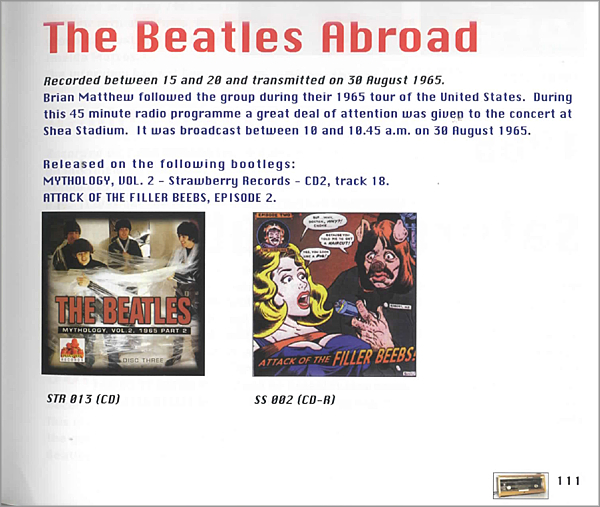 Prior to the commemorative show (20 years since The Beatles appeared at the BBC), the bootleg Broadcast was released. It was preceded by a bootleg single with never released recordings that was in superb sound quality. 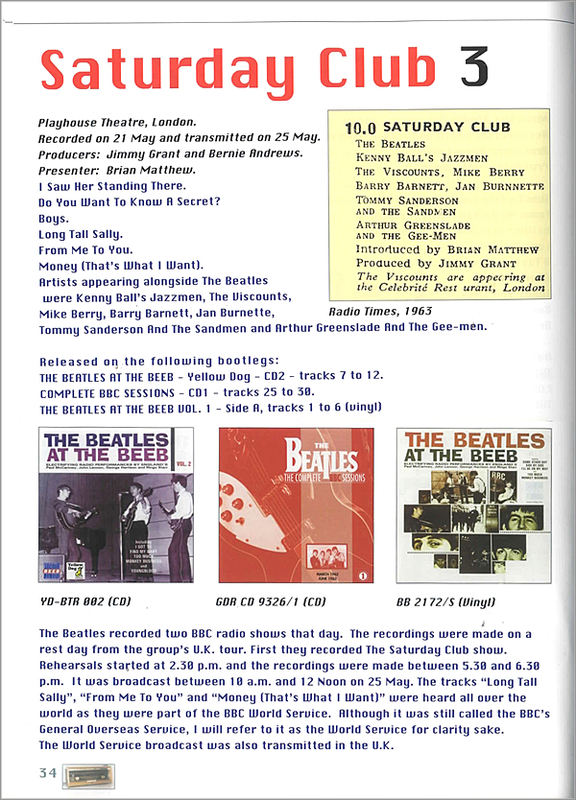 Following the jubilee show, a magnificent set of 13 vinyl LPs was reelased with the title The Beatles At The Beeb. It came with attractive album covers and a good sound quality. The first BBC set was born! 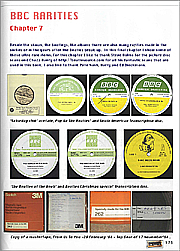 "Once the vinyl period came to an end, CD sets appeared and to date The Beatles The Complete BBC Sessions by the Great Dane label is the most attractive. It came in a luxury box with many additions to The Beatles At The Beeb vinyl LP set. Although the Great Dane set has now been overtaken, it is still a highly sought after collector's item. 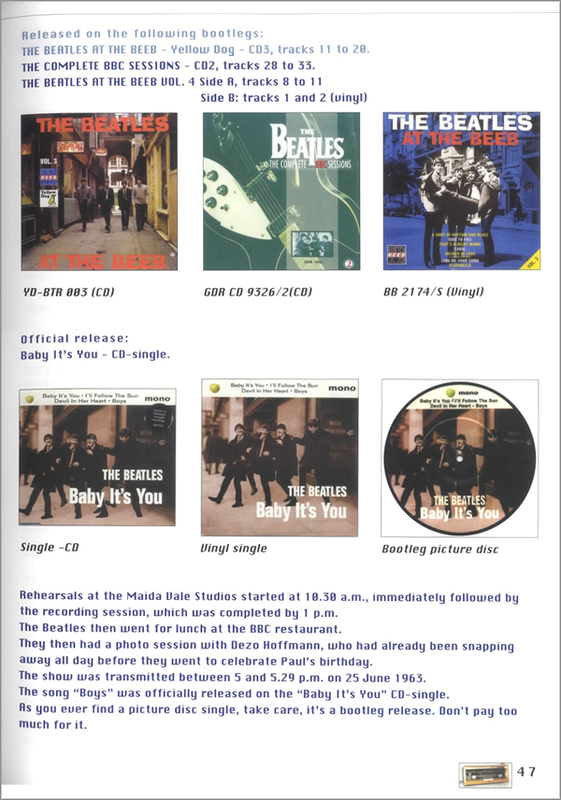 Finally, in 2004, the Yellow Dog label released the 12-CD box The Beatles At The Beeb, which to date is the most complete set." The book, with its hardcover and glossy pages, comes across more of a coffee-table book than a guide book but the presentation is necessary in order present, with good legibility, the various album covers, press cuttings and documents. If would have been dreary if Moltmaker had listed the shows only in the following manner: name, where and when it was recorded, when it was transmitted, the name of the producer and the presenter followed by the tracklist, which bootleg it can be found on and whether it was included on the official Live At The BBC. To add more depth and to liven things up, Moltmaker annotates each show with interesting comments. For instance, this is what he wrote on the March 7, 1962 show: "This is the first appearance for the BBC and the first time The Beatles wore their famous suits on Brian's insistence. The group first rehearsed. Apart from the three tracks that were transmitted (Memphis Tennessee, Dream Baby (How Long Must I Dream) and Please Mr Postman), The Beatles also played their own composition, Hello Little Girl. It was probably not recorded. The rehearsals started at 3.45 pm although we are not aware how long they lasted. "The real recordings took place between 8 pm and 8.45 pm. With Pete Best on drums (Ringo had not joined yet), The Beatles performed three covers in front of a live audience at The Playhouse Theatre in Manchester. All three tracks have been saved. The show was broadcast the following day between 5 pm and 5.29 pm. All shows were part of the BBC's light programme unless stated differently. The Beatles were paid £26 and 18 shillings for the first 3 shows as well as £2 and 18 shilling sfor their train tickets, making a total of £29 and 12 shillings." A second volume, which covers the remaining period up to the 'Open House' programme of March 31, 1970, is being prepared. 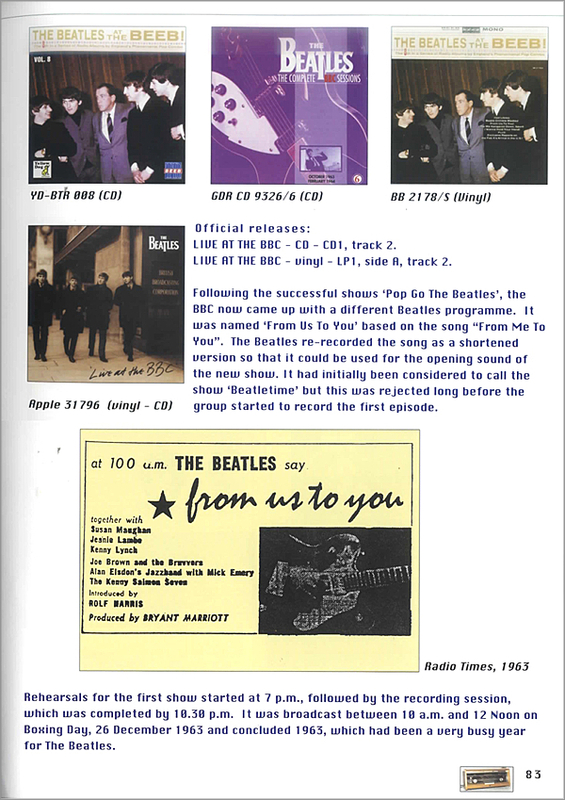 It would have been ideal had Volume 1 come with a CD containing some of these Beatles BBC rarities. Of course, the collectors' would already have the songs. Now here's the book to go with them. 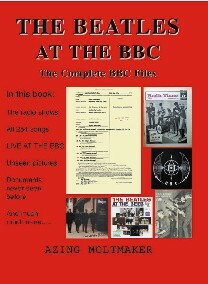 Note: Visit http://www.beatlesfannext.com/At_The_BBC.htm to order the book.